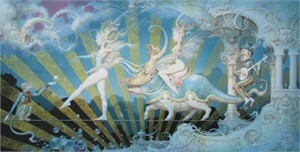 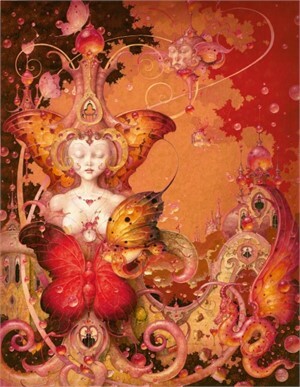 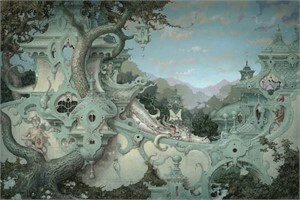 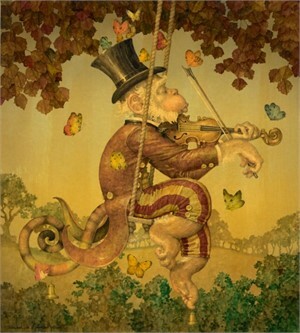 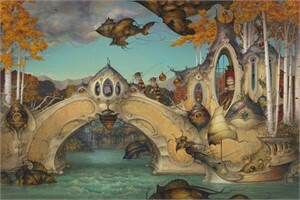 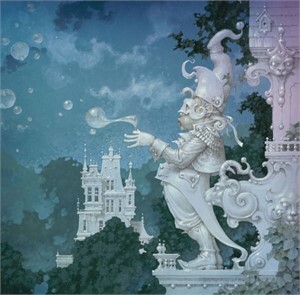 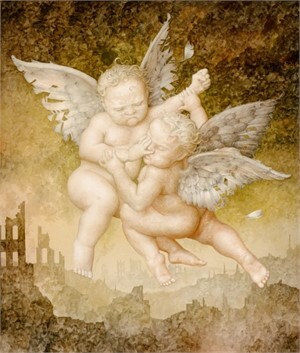 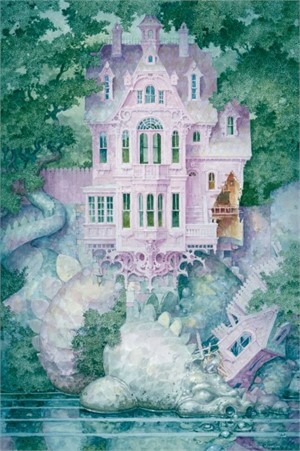 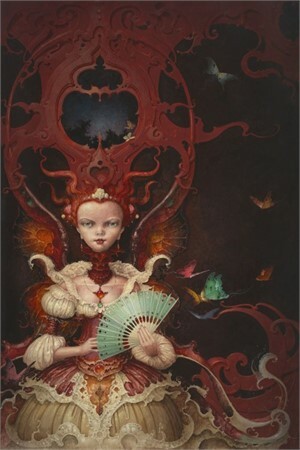 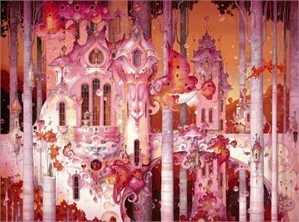 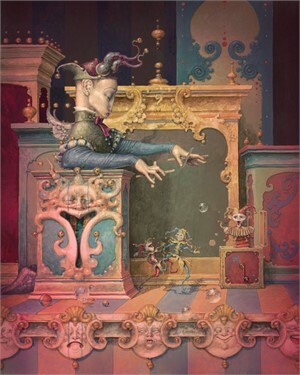 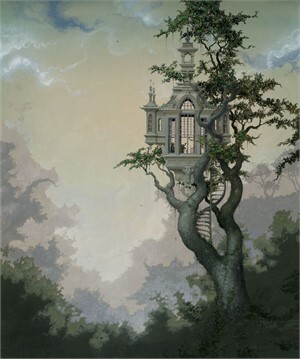 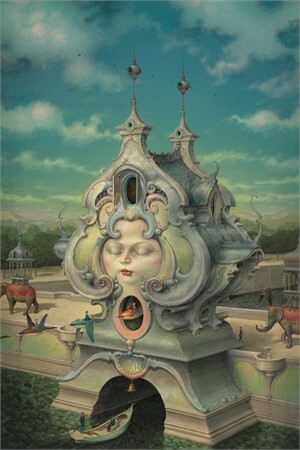 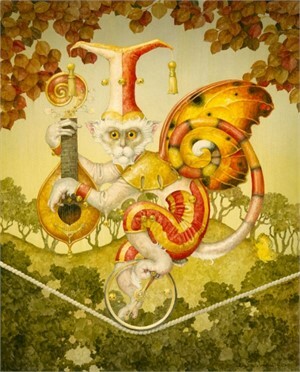 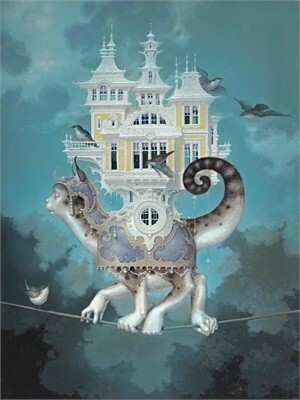 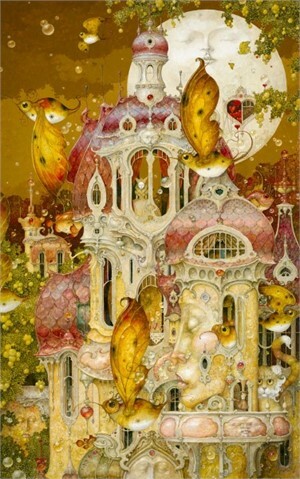 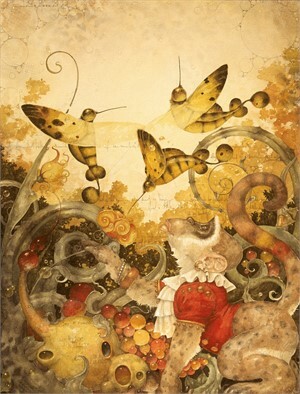 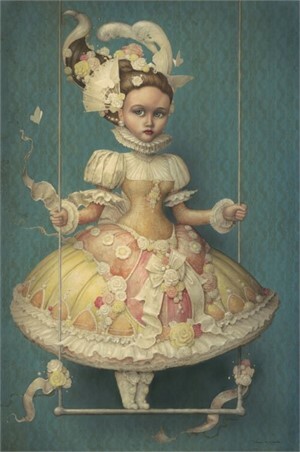 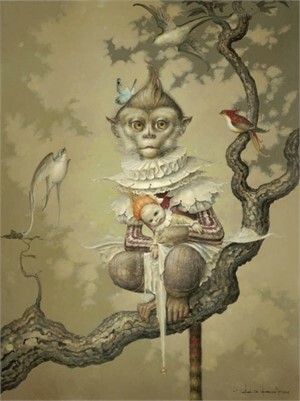 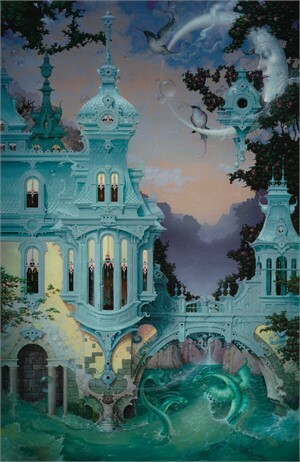 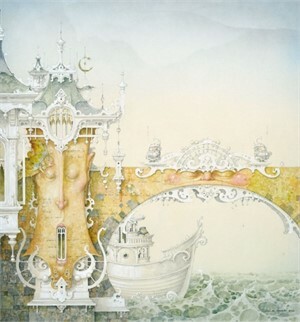 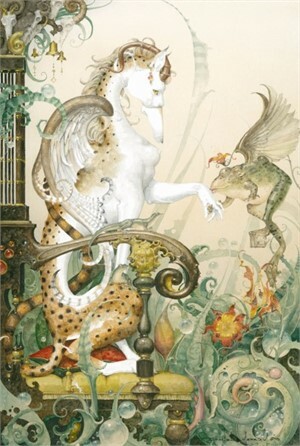 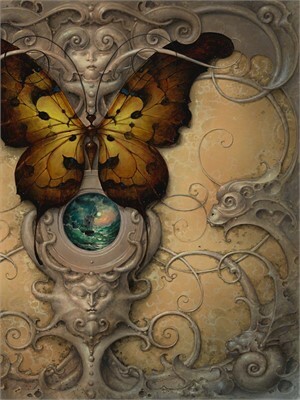 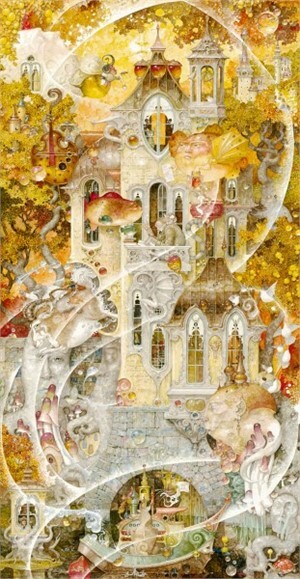 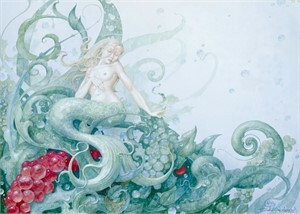 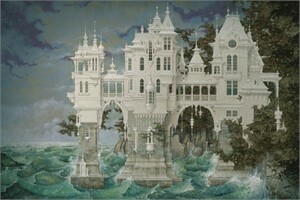 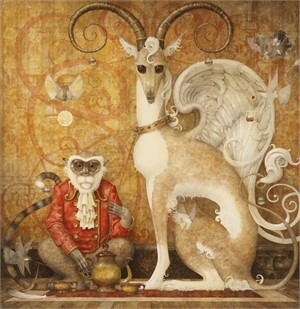 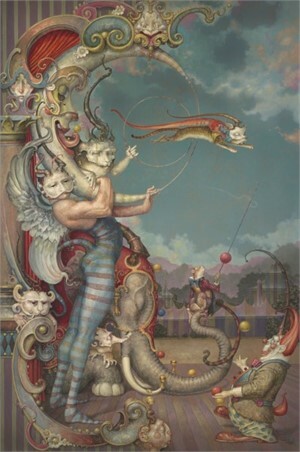 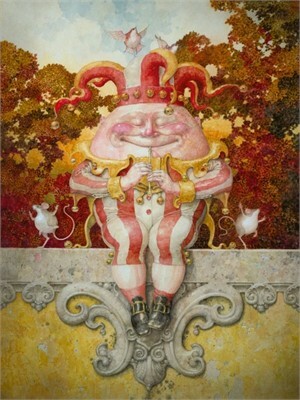 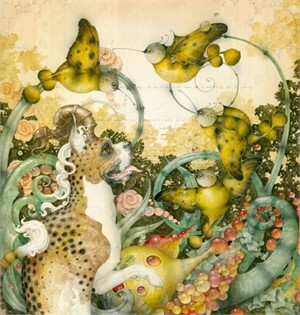 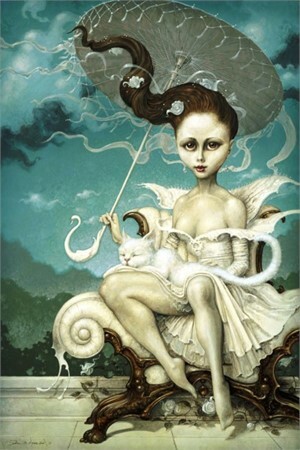 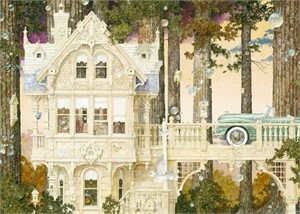 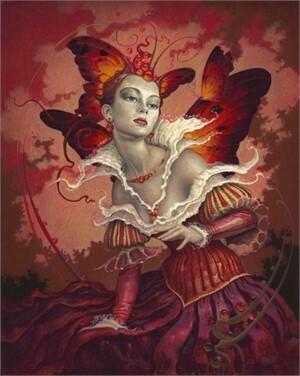 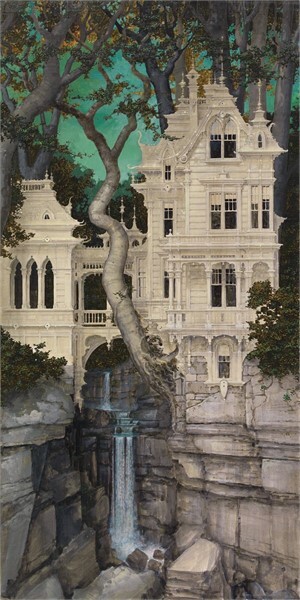 Daniel Merriam is a ‘fantastical’ painter, whose technique calls for extreme precision in a range of media, including oils, acrylics, watercolor, graphite, ink, metallic leafs, etc. 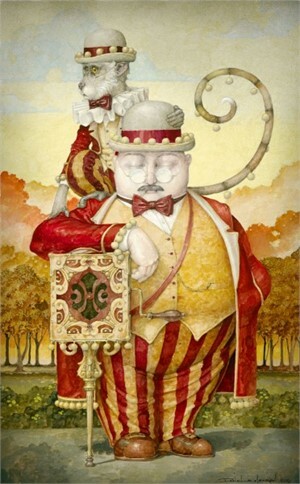 The artist’s exacting hand can be traced to his education and practice in the fields of architecture & design and corporate, commercial art. 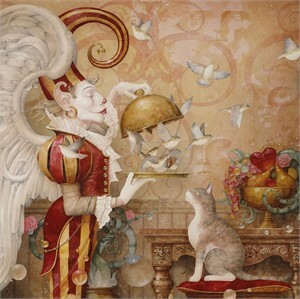 After establishing himself in an award-winning business career, Merriam retired to his first love, fine-art painting and printmaking. 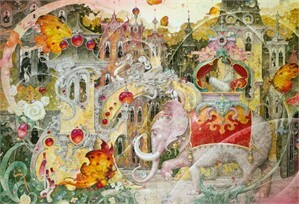 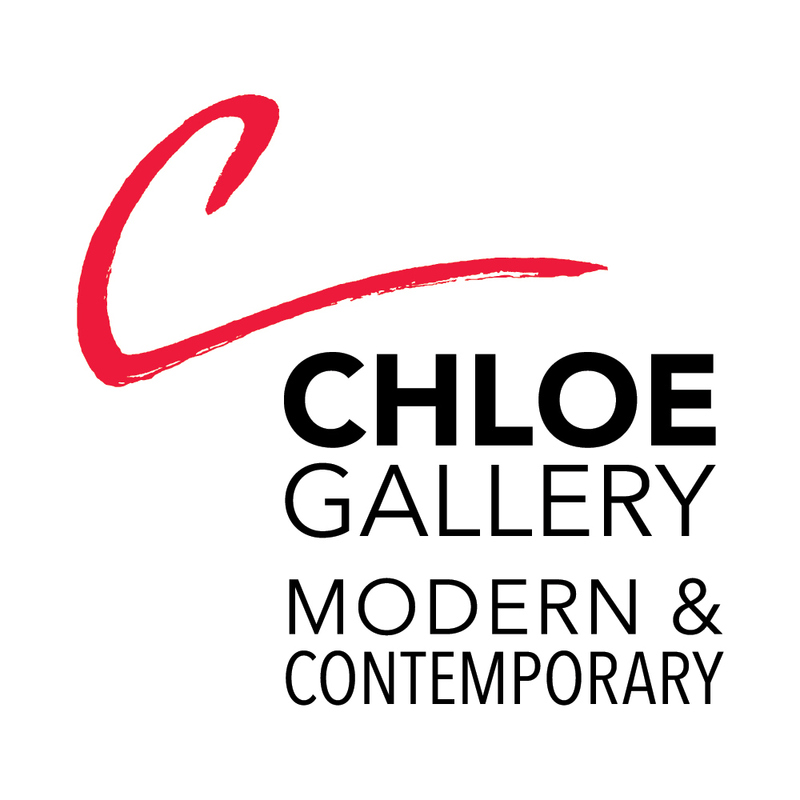 He is one of today’s most celebrated and collectible art-of-the-fantastic masters. 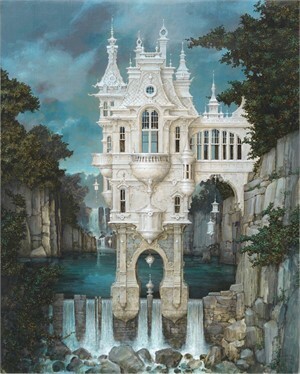 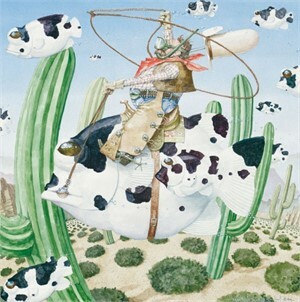 Fantastical art means what it says – art that conjures highly exaggerated, imaginative, and other-worldly realms for the viewer, usually in an exacting draughtsman’s style. 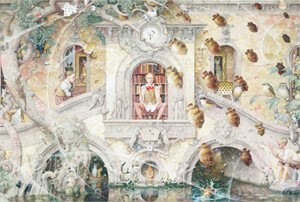 Very often, fairy tales, science-fiction, children’s illustration, and Grand Historic art movements from art history inform the work of the fantastical artist. 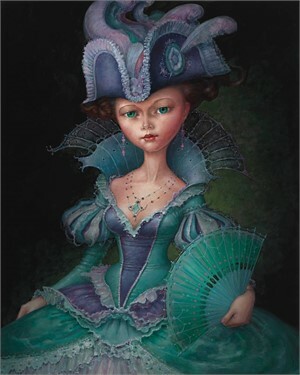 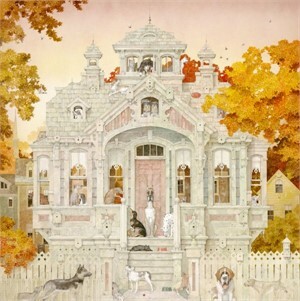 In Merriam, one can see the influences of Mother Goose Rhymes, Grimms’ Fairy Tales, the Baroque and Rococo arts of France, Bay Area Victorian design, and Precisionist Art. 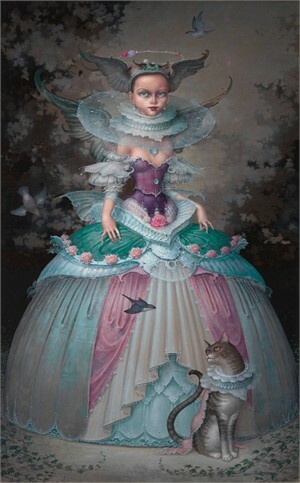 Finally, the diverse media that Merriam deploys in his complicated compositions create a highly nuanced textural surface, almost invisible to the naked eye, but fascinating in terms of layering and variety. 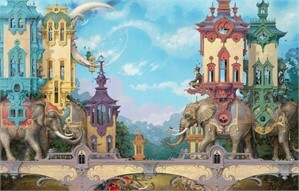 His overall designs can be whimsical, childlike, surreal, formalist, and stunning in conception and detail. 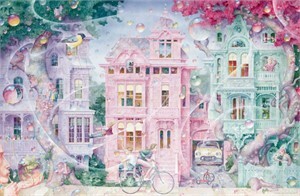 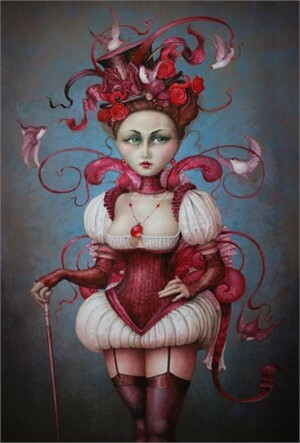 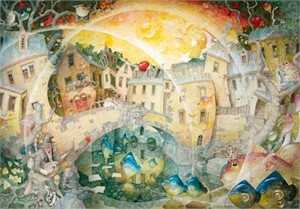 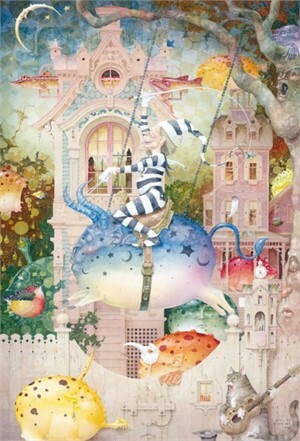 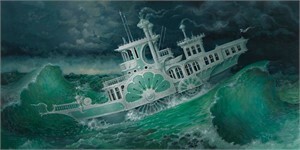 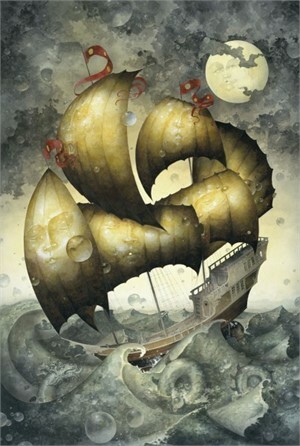 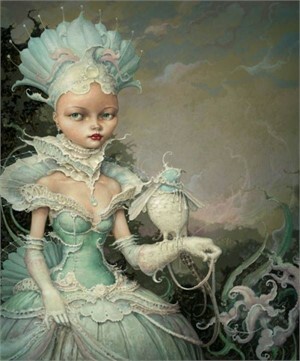 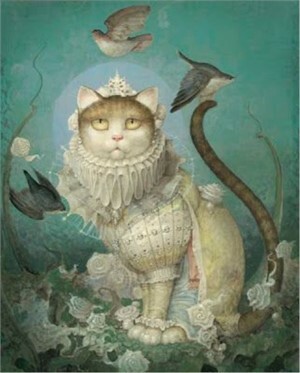 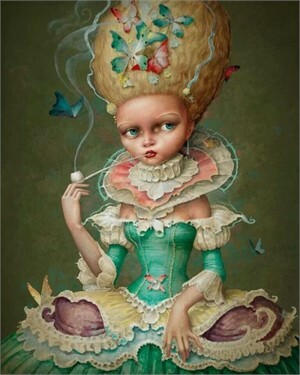 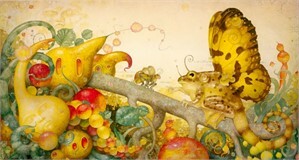 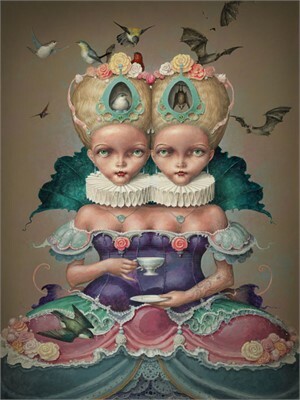 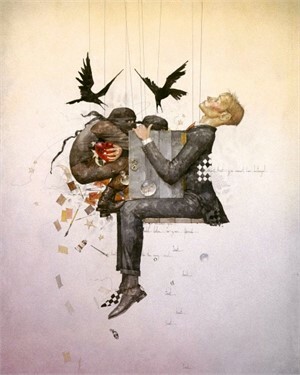 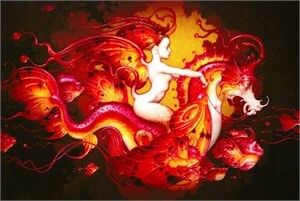 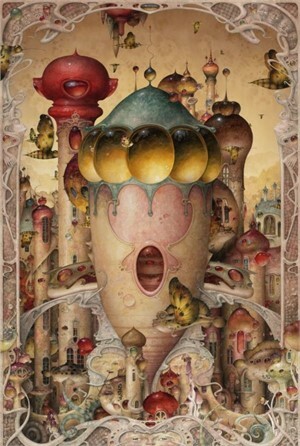 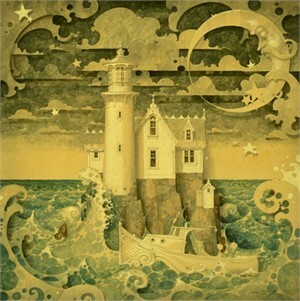 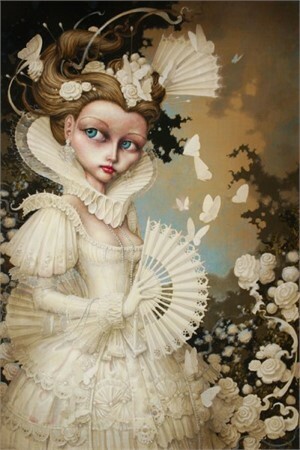 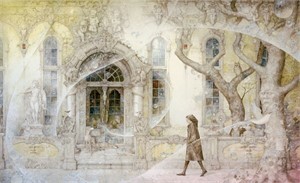 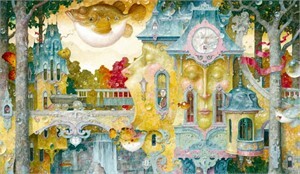 Here is an artist truly in touch with a fantastical eye on imaginary worlds. 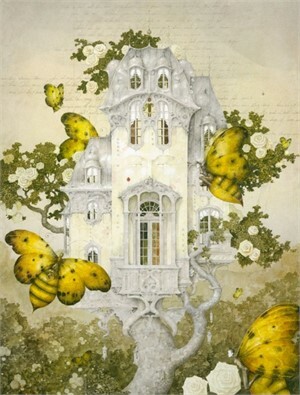 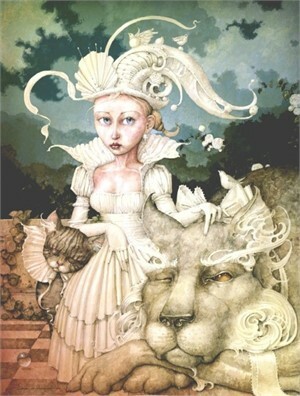 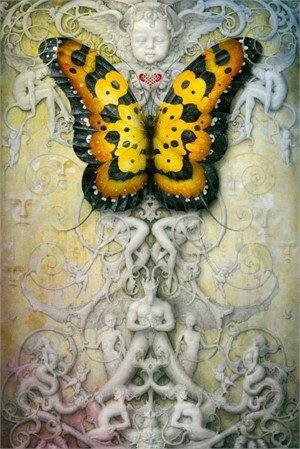 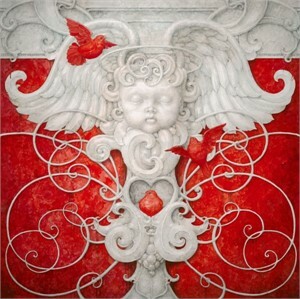 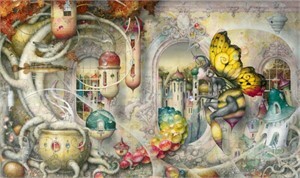 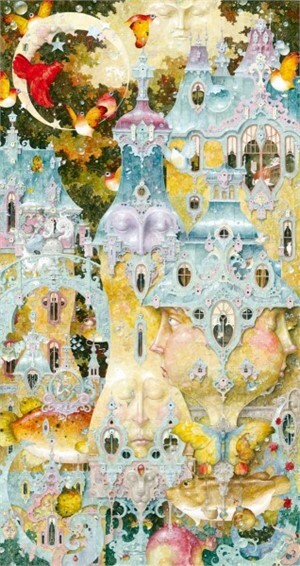 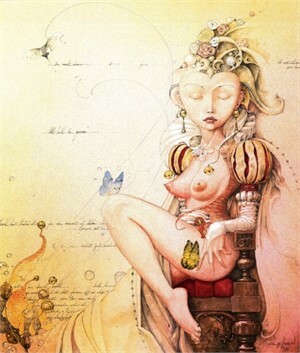 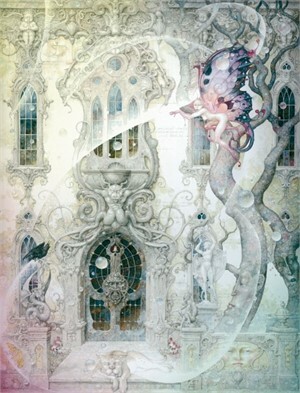 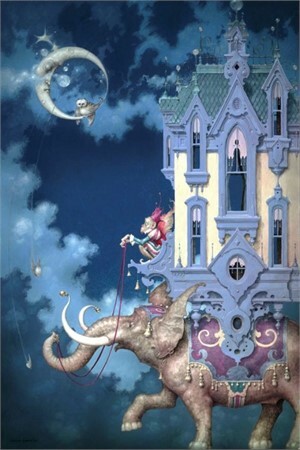 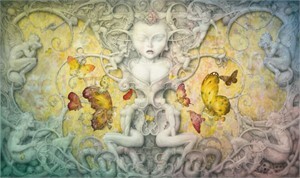 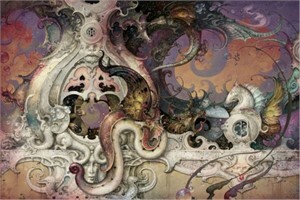 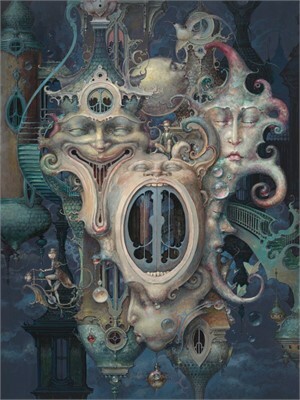 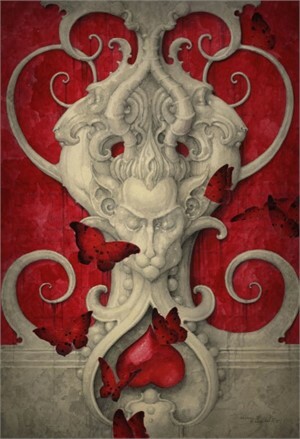 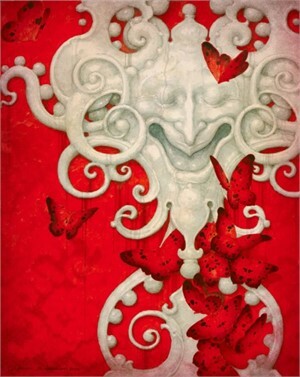 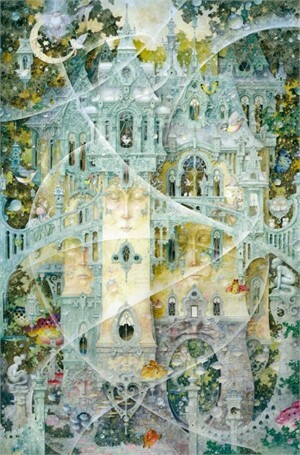 Book: The Art of Daniel Merriam "Built On Dreams Alone"